At UNION TITLE INSURANCE AGENCY we are dedicated to the development of long-term client relationships. Our team-approach ensures your needs are important to each and every member of our organization. JENNIFER TUCKER, Esq., owner of Union Title Insurance Agency, graduated from Brigham Young University J. Reuben Clark Law School in 1997. After graduation, Jennifer began working in the title industry, soon becoming one of Utah's most trusted Escrow Officers. ​Union Title Insurance Agency began taking orders in 2006. The Agents, Lenders, and clients she serves will tell you, her legal expertise and extensive knowledge of the title and real estate industry is unmatched, making her one of the leading experts in her field. Jennifer and her husband have called Utah their home for more than 25 years. She and her husband have raised all six of their children in Highland, UT, and recently welcomed their first grandson to the family. Robyn has been in Escrow for 20 years, including an Escrow Officer for 7 years. Robyn has 3 daughters Taylor, Maleah, and Abigail, and a dog named Milo. In her spare time, she likes to run and play Bunco. Robyn has run 9 half marathons and 2 Ragnar Relay Races. She loves what she does and works with an amazing group of people that are crazy enough to love it as much as she does. Jess attended Brigham Young University on an athletic scholarship playing soccer. Along with receiving All-American recognition in soccer, Jess graduated from BYU with a Bachelor’s Degree in Public Health. Jess started working at Union Title during the summer of 2015. When she’s not working, Jess enjoys spending time with her family, being outdoors and maintaining an active lifestyle. Jen started working at Union Title in 2006 and began her career as an escrow assistant at Union Title and shortly thereafter became licensed as an escrow officer. Jen was born and raised in American Fork, UT and resides locally with her husband, Jarod and their three children, Carter, Preslee, and Easton. She enjoys spending her free time with her family in the outdoors, camping, hunting and riding dirt bikes. Matt is a Utah county native that loves the outdoors; whether its skiing in the winter or mountain biking and golfing in the summer. 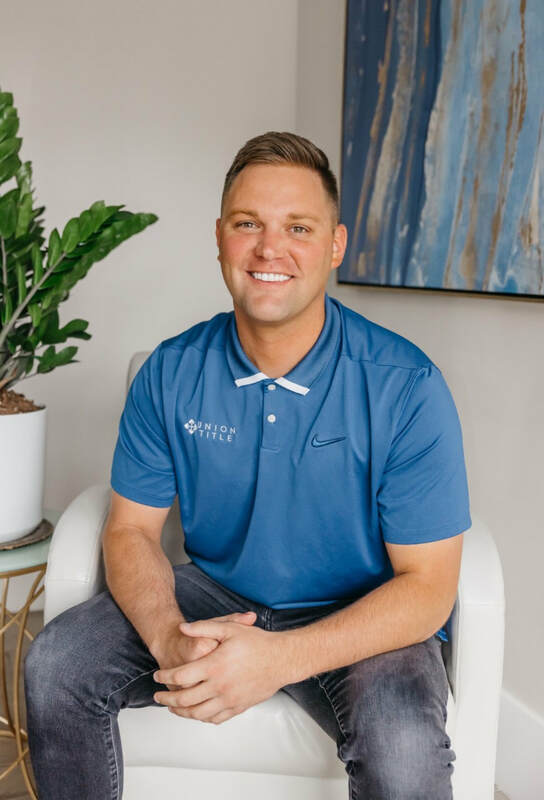 He is a graduate from the Woodbury School of Business at Utah Valley University, where he focused his studies in marketing and sales. He is happily married and loves to play with his two kids!